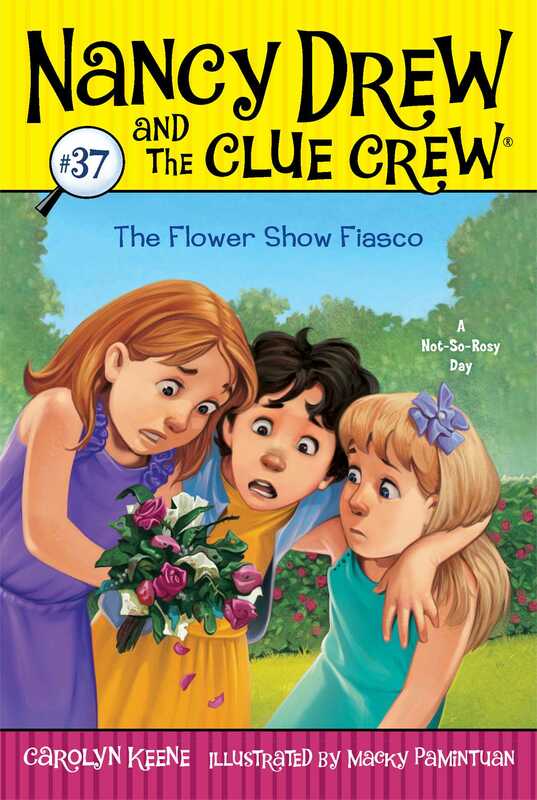 Nancy Drew and the Clue Crew are eager for some floral fun—but first they’ll have to find the missing flowers! Nancy, Bess, and George couldn’t be more excited. Because Nancy took care of her neighbor Mimsy Bourret’s prize roses while she was in Paris, all three girls will be her VIP guests for the annual River Heights Flower Show. They can’t wait for beautiful flowers, a fancy ballroom, and more desserts than they can imagine! But once the girls get to the show, disaster strikes. Mimsy Bourret’s prize roses have vanished! Can the Clue Crew find the missing flowers in time? Or will the flower show become a total fiasco? Macky Pamintuan was born and raised in the Philippines. He moved to San Francisco at age twenty-one and received his fine arts degree from the Academy of Art College.